I’m back after taking the summer mostly off and I have a lot of news in this episode along with some things to think about when you are doing your website for your podcast. 1. Google – People can’t find you on Google or Bing if you don’t have a website. 2. 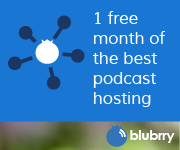 Having a central place to find your show and you is essential if your podcast hosting service of choice goes down or you want to move. 3. It’s just cool to be able to make the site look the way you want it to rather than how the podcast host’s listing looks. 4. Own your own brand. 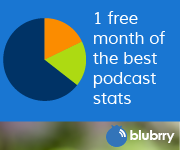 It’s important to have your own domain that is your brand for your podcast. Using someone else’s brand to promote your show, promotes them, not you. It’s just RSS. That is all you need. iTunes, Google Play, Stitcher, Tunein Radio and all the podcast apps are using RSS, Not RSS + something magic that only company X can give you to list your podcast. Locked in services want you to use their RSS feed instead of your own RSS feed because it’s easier for them to support their own system and it gives them exposure by having THEIR domain name in your feed address and on THEIR player. With PowerPress, the RSS feed is the RSS feed that everyone looks at and it has YOUR domain in it (if you choose). It works for Google Play, Itunes and every other podcast app that allows independent podcasts in it.